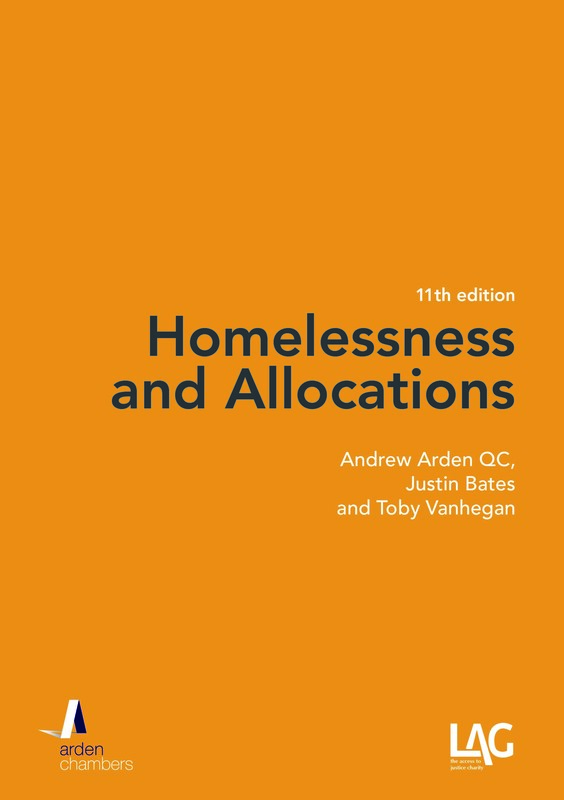 With the start of the new academic year Andrew Arden QC and Justin Bates consider some of the fees and other sums of money that students may have to pay to rent accommodation. In September and October, around 158,000 new students are estimated to start university (figures taken from UCAS). Whilst most new students are offered accommodation in halls of residence or other property owned or sourced by their university for the first year, they will soon find themselves having to make decisions about their accommodation for the following years. For many students, this means finding others with whom they want to live and then finding a property. It is likely to be their first experience of renting for all the members of a group. Their parents may well not have any relevant or recent experience of the rental market. It is all too easy for them to be taken advantage of by landlords or agents. As the examples below show, this is an area that is ripe for legislative intervention. Such fees are unlawful in Scotland (see the Rent (Scotland) Act 1984) and the Scottish Government has committed itself to ensuring that the law is enforced and (if necessary) amended to close up any loop-holes (see here). Shelter Scotland have recently launched a campaign to encourage tenants to sue for the return of any fees that were paid: as at June 2012, there were some 870 claims in the Scottish courts (all awaiting a decision) worth over £100,000 (see BBC news report, here). There is no analogous protection in England. The Accommodation Agencies Act 1953 provides limited protection against fees for the provision of information about rental properties but does not prevent the fees of the sort that Shelter has identified. It may be that the Unfair Terms in Consumer Contracts Regulations 1999 or the Consumer Protection from Unfair Trading Regulations 2008 could be used to fashion a remedy, but it would be vastly preferable to regulate fees at the outset, rather than leave it to tenants to try and reclaim them at a later date. students do not know how to challenge a refusal to return the deposit and do not have access to advice or assistance getting it back. Indeed, it is not unknown for a request for return of the deposit to be met with the threat of an additional claim for a greater amount on specious grounds that the tenants’ putative default has cost the landlord or the agent more than is covered by the deposit. Furthermore, in practice, the amounts each individual student has to pay – perhaps only one or two hundred pounds, while a lot of money, is low enough for them to realise that litigation is not a viable option. Alternatively, some agents assert that the deposit is transferable to another property (which ‘ties’ the would-be tenant to that agency, even if there is an alternative available elsewhere). This has become so widespread that it merits a section of its own. This is the common practice of requiring all the parents of the would-be tenants planning to share a property to sign personal guarantees both for the whole rent of the property (not just the share of the rent which their child will be paying) and all other liabilities under the lease (ie, as one of the joint tenants with joint liability for all the terms), eg damage. This is made a condition of the tenancy being granted and, if the tenants do not take it up because their parents refuse to sign the guarantee, the deposit is then withheld. There is quite a lot that can be said about this – not least because one of us has recently been through it (work it out – one of us isn’t old enough to have a child living away from home)! First, the credit check will normally relate only to a single share of the rent – not many but most parents would fail a credit check for the whole rent for a whole house or large flat; when asked to guarantee their own child’s liabilities, they are nonetheless guaranteeing the rent in full. Secondly, the idea of guaranteeing the ‘behavioural’ terms for a group of young people, some of whom may not even be known to the parents, is hugely onerous. Consider this: their child comes home for the holidays while one of the other sharers stays on and, perhaps – even probably if a long enough break – has others in for a while, which ‘visitors’ or ‘lodgers’ cause damage or who, say, smoke in the property (which these days is commonly prohibited), for which those parents – never met joint tenant, never met sharer – will nonetheless be liable in law. Finally, the parents are in a real bind: given that these guarantees are so very common now, almost universal in relation to student lettings, how will their child find accommodation unless they sign? Sometimes, it is possible to negotiate a variation to confine liability to the rent payments of one’s own child (just as it is sometimes possible to get back a holding deposit or even several) – and, yes, ‘guess who’ managed to do both but possibly (just possibly) was better equipped than most to be able to do so! Otherwise, however, such guarantees are highly suspect and could well be regarded as unfair under the 1999 Regulations (above) – if otherwise qualifying (eg standard terms, etc) or even a sham (if the credit check was limited to the individual rent share). Again, though, this is not something which ought to be left to individuals to have to fight and cries out for legislative intervention. We doubt we shall see legislation – in the current Parliament at any rate. The coalition government is committed to supporting and stimulating the private rented sector and any move such as this would be likely to meet a fairly solid block of opposition from agents and landlords which it will not want to have to deal with. Sometimes, though, it is right to fight on – and on and on – both because it may have some protective value insofar as it informs people who may then be willing to push back a little harder and because eventually it may lead to change. With a bit of luck, it might even be in time for the other of us! Not every tenant victory is necessarily a victory for tenants, Andrew Arden QC and Justin Bates assert. There is a danger that this post is going to sound like sour grapes, as Andrew appeared for the authority in Camden LBC v Stafford  EWCA Civ 839, the case to be discussed. It is not intended to be but, even if there is an element of it, there remains a valid point, that what may appear at first glance to be a victory for one ‘side’ or another can sometimes turn out to have very different implications in the longer term. This is not a point that is confined to cases. The development of a proportionality defence in Manchester CC v Pinnock  UKSC 45,  2 AC 104,  HLR 7, and Hounslow LBC v Powell and other cases  UKSC 8,  2 AC 18,  HLR 23 has been hijacked by the government to do away with security of tenure in new cases such as the flexible tenancy and the so-called ‘mandatory power of possession’ in some ASB cases. 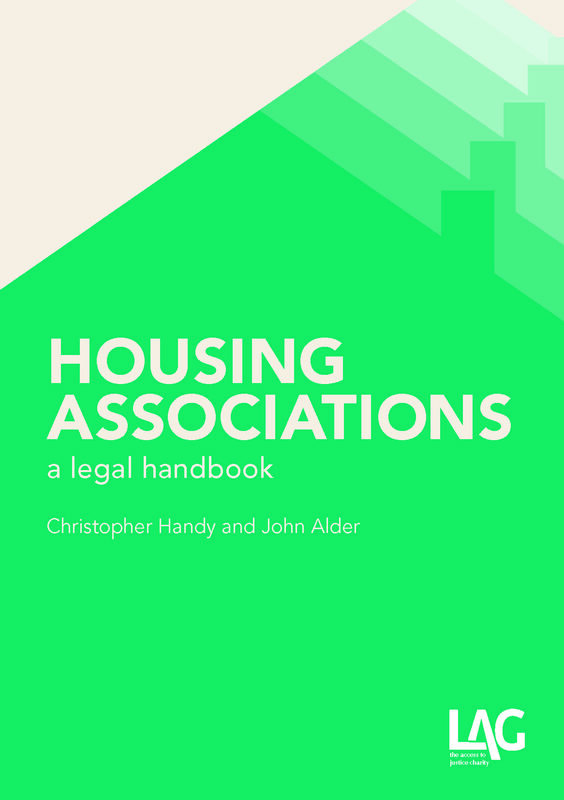 Space does not allow us to elaborate on this here, but those who are interested can read Andrew’s keynote speech to the Housing Law Practitioners Association in December 2011, available here for HLPA members or by emailing Justin. Stafford concerned the review of a decision to terminate an introductory tenancy. The housing officer served notice of seeking possession for anti-social behaviour (mostly noise); the tenant requested a review, apologised and said that her ex-partner was responsible for most of the problem. The review panel stated that it was upholding the notice but went on to suggest how actual eviction might be averted. ‘The Panel decided that the Notice was correctly and justifiably served’ as ‘there had been allegations of anti-social behaviour’ and the tenant had ‘accepted that at least some of these complaints were justified’. Nonetheless, it did ‘not believe that an application to the court for possession of the property should be made at this point in time’. Rather, while ‘… the decision to serve the Notice is upheld’ it made a number of recommendations as to steps that could be taken, such as meeting with a Youth Intervention Support Panel, an Acceptable Behaviour Agreement, and further enquiries of the police and neighbours. After further complaints, however, the authority decided to proceed with the notice. 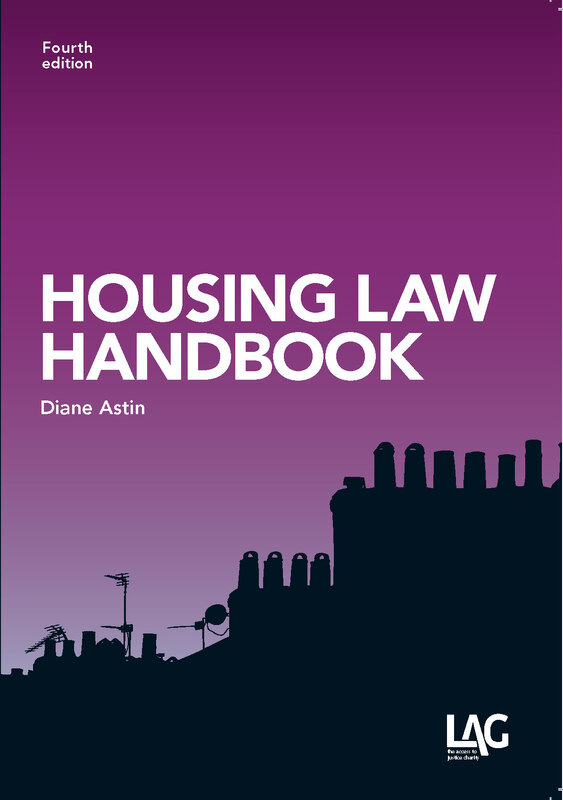 ‘if the case advanced … were right, the likely consequence would be that housing authorities would almost inevitably be driven to adopt a less humane, more rigorous, unrelenting approach to introductory tenants who had failed to pay rent when it was due. In many cases there is much to be said for full, indeed generous, weight to be given by the housing authority to any relevant extenuating circumstances and for the tenant to be offered (as this tenant was) a reasonable opportunity to make amends. However, if that opportunity is rejected by the tenant, then the housing authority’s position …should not be prejudiced simply because it made allowances for a tenant’s difficulties and deferred proceedings to bring the tenancy immediately to an end’. In Stafford, the Circuit Judge rejected the claim for possession and an appeal to the Court of Appeal was dismissed, on the basis that the letter had not confirmed the original decision as required by section 129: a review decision under section 129 could not be expressed in equivocal terms; the practical options are only to confirm the decision to seek an order for possession or to withdraw it. Leaving aside the obvious difficulty of reconciling Stafford and Stone, the real issue is how cases are going to be handled in the future, bearing especially in mind the requirement that the review must – if by an officer – be by one who is senior to the officer who made the original decision. If the review can only say ‘yay or nay’ to the notice of seeking possession, without the room for manoeuvre that allows it to use what will always be its greater experience to steer a route between the anti-social behaviour and the wish to avoid eviction, it has to be anticipated that reviews will much more readily come down in favour of eviction than run the risk of carrying the responsibility for allowing an anti-social tenant to acquire security (against the initial decision that this ought not to be allowed to happen). Even if a further notice could be served, the review would still be responsible both for adding to the work involved, and – given the limited time available – for increasing the chance that later ASB could not be prayed in aid. Conversely, while it is true, as held in Stafford, that an authority will always have the right to change its mind, and even a duty to keep the situation under review (citing Barber v Croydon LBC  EWCA Civ 51,  H.L.R. 26), so that it is not bound to take possession proceedings to a conclusion, once a more senior officer has ruled in favour of eviction, the likelihood of the junior officer changing course inevitably diminishes. (Reviews can be by members; that is rare; but where it does happen, the likelihood of the officer changing course reduces to nil). The practical result will be that authorities will simply cease offering a second chance to their introductory tenants. The decision fails to understand the nature of the review. It is not an appeal but an opportunity for the position of the authority to be reconsidered at a ‘higher’ level (officer or member). It is very hard indeed to see why the position of the authority should not be a tad more sophisticated than the Court of Appeal allows in Stafford, somewhat closer to the sort of stance recognised and validated in Stone. This is the crux of it; it deprives authorities of the scope to be more imaginative and more helpful; it fails to recognise that it is not only the tenant who seeks to avoid eviction, but the authority as well – and deprives the authority of the tools to allow them both to achieve the shared goal. It might also be added that the decision appears to be utterly out of step with a climate of mediation and culture of alternative dispute resolution. As some of you may already have seen, on Friday July 20, 2012, Arden Chambers will be moving from John Street in London (where we have been based for 15 years) to newly refurbished premises on Bloomsbury Square. This is new territory for the Bar but we rather suspect that other Chambers will join us over time. When Andrew was first in practice (some years before Justin was born), and operating out of Chambers in Bowden Street opposite Lambeth County Court and, subsequently, Wellington Street in Covent Garden, the first time any London Chambers had stepped outside the Inns of Court, the Bar Council briefly changed their professional rules so as to require all Chambers to get its consent before operating outside of the Inns. Since the beginning of the year, the housing surveyor Pat Reddin has been unavailable for work for health reasons. Andrew Arden QC tells us why, and that he’ll soon be back. Since the beginning of the year, I have fielded so many enquiries about Pat Reddin that I thought I would abuse LAG’s hospitality – and spare myself a lot more individual responses – by offering a general update. For those – few – housing practitioners not familiar with his work, Pat has been the ‘go to’ surveyor both for tenants and for social landlords since the early 1970s. Indeed, the founders of housing law at that time were not only Law Centre and legal aid lawyers but others, without whom our work would have been impossible to deliver, who put flesh on the bones of cases involving housing conditions, by whom I mean pre-eminently Pat Reddin and the independent environmental health adviser, David Ormandy (and if it wasn’t them, it must have been Mel Cairns!). It felt like there wasn’t a disrepair claim that didn’t feature one or other of them, though that’s probably memory playing tricks. Last year, Pat was diagnosed with a brain tumour, a dreadful shock to him and to his family – and to those close to him who hadn’t realised he had a brain at all (a joke he does not tire of making!). Early this year, Pat underwent surgery and he has been out of action since. Given the difficulty finding surveyors to do this sort of work, small wonder the enquiries have been coming thick and fast! The news is good. The operation was successful. Pat’s recuperation and rehabilitation have exceeded all medical predictions (now that wasn’t a surprise!). He has experienced some minor loss of functionality (which will continue to diminish) but nothing that impedes his imminent resumption of work. He expects to be back at the end of August. In the meantime, he and his wife, Vincina Mellor, the independent housing consultant, want everyone to know that the good wishes they have been sent, and the support expressed in various ways, has been the most enormous morale boost. They thank you. As his friend, so do I!